Rowan to preach at Start of Eisteddfod next year. 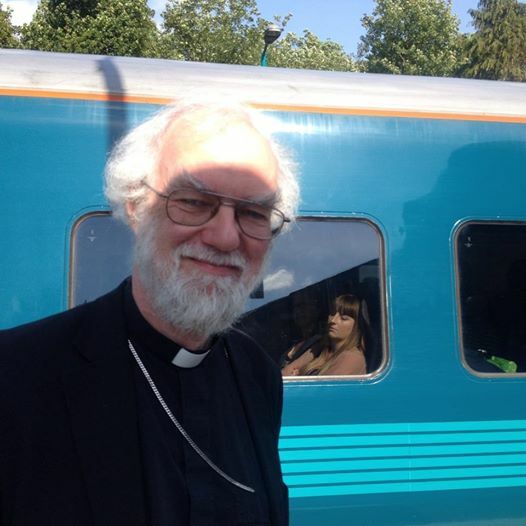 With one year to go to the start of the National Eisteddfod of Wales at Abergaveny it has been announced that Dr Rowan Williams will be the preacher at the main Morning Service at St Mary’s Priory Church, Abergavenny on Sunday, July 31st 2016 – the first day of next year’s Natioanl Eisteddfod. The Service will be sung by the Priory Church Choir and will have some Welsh content. The former Archbishop of Canterbury is a Member of the Gorsedd of Bards where he is known as Rowan ap Aneuri. As a life peer he is also known as Lord Williams of Oystermouth. Welcoming the news the Vicar, Canon Mark Soady said, “We very much look forward to welcoming Bishop Rowan back to Abergavenny, where he will be among friends. It will be good to share the worship with him as we welcome Christians from all over Wales and wider afield for the start of proceedings on the Eisteddfod Maes”. We have two choir Concerts over the Summer months. 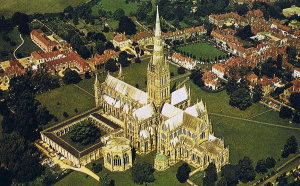 St Mary’s Priory Church Choir will be the Choir-in-Residence at Salisbury Cathedral for week commencing Monday, August 10th. The Choir will sing Evensong at 5.30pm every evening during the week . Previous Cathedrals where the choir have sung include Peterborough, Coventry, Gloucester, St Albans, Lichfield and Hereford. THE Choir will break for the Summer from singing at the Priory following the morning service on July 19th. We at St Mary’s Priory are pleased to be one of the first two churches in Wales to be admitted to the Greater Churches Network. The group was founded in 1991 as an informal association of non-cathedral churches which, by virtue of their great age, size, historical, architectural, or ecclesiastical importance, display many of the characteristics of a cathedral. Most churches in the group also fulfil a role which is additional to that of a normal parish church. It aims to provide help and mutual support in dealing with the special problems of running a ‘cathedral-like’ church within the organisational and financial structure of a parish church; to enhance the quality of parish worship in such churches; and to promote wider recognition of the unique position and needs of churches in this category. It also serves as a channel of communication for other organisations wishing to have contact with churches of this type. We will be joined by St Giles, Wrexham which is staffed by Fr Jason Bray a former Curate of St Mary’s.